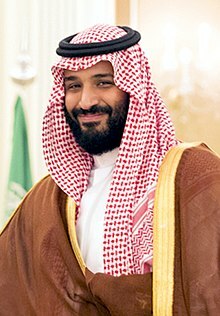 Born in 1985, son of king Salman, Mohammed bin Salman has been immediately noticed as the right man to lead his country. A country characterized by an absolute monarchy, defined as an Islamic state, where the Parliament does not exist, the king personally appoints the members of his government and where the judicial system is based on Islamic law. Already before being appointed as the crown prince, instead of his uncle Mohammed bin Nayef, he was the youngest Minister of Defense in the world. Under this role, he approved the code-name Operation Decisive Storm, a bombing campaign in Yemen against the Shi'ite Huthi rebels, who were supported by Iran, the historic rival of Saudi Arabia. Soon after, he became the chief of the Ministry of Economic Affairs and Development, where he promoted a very important economic plan, know as Vision2030, launched in April 2016, which aims at making Saudi Arabia independent from hydrocarbon by 2030. To better understand the speech that Mohammad gave at the Future Investment Initiative, it is necessary to observe the reforms carried out in the last months. By doing so, his words might be considered important and in line with the changes he has undertaken so far, especially with the Vision2030 project. Indeed, as several public and private affairs advisers have suggested to the future king, the kingdom can survive only with a total revision in the cultural, social and economic field. In fact, seventy per cent of the population is below the age of thirty and the public sector is blocked and inefficient, with a very low young productivity level. From a social point of view, the extreme strict bans of organizing cultural and playful events have been loosened. Indeed, in January 2017 in Jeddah, a city to the west of Mecca and considered more open than the capital Riyad, there was a concert of Mohammed Adbu, a local star, known as the Saudi Paul McCartney. The event, which involved only men participation, was organized despite the ban put in place by the highest religious authority of the Country, the Great Mufti Abd al-Aziz bin Abd Allah Al ash-Sheikh, who, during his weekly tv program, described public concerts as a sign of depravation and as a first attempt of opening the doors to men and women sharing the same public space, which is forbidden by the Saudi law. Then, in October 2017, still in Jeddah, there was a three-day festival, the Saudi Comic-con, which was totally dedicated to video games and super heroes. The initial attempt to keep men and women separated was not respected, without any excessive opposition by the security guards, and there were moments where men and women shared the same public space. Furthermore, last October, king Salman emanated a decree for the creation of a council made of Islamic scholars, with the aim of reading back the Hadith in order to eliminate the extreme and radical Sunnah interpretations, which consist of Prophet's sayings initially orally transmitted. The last goal, celebrated all over the world, has been allowing women to drive. Indeed, Saudi Arabia was the last country which still had this ban, introduced in an informal way during the Gulf War in 1990 until it became an official policy of the government soon afterwards. Women activist groups had been asking for the abolishment of this law for a very long time. An association, "Women2drive", was created in order to demonstrate and protest against this ban. Finally, during the Future Investment Initiative, Saudi Arabia was the first country to give its citizenship to a robot, Sophia, which looks like a perfect â€œWestern womenâ€�. The message, at least in appearance, is that the state has a willingness to be more open to progress. However, there have been some critics concerning the rights this robot could have and whether it will have the same restrictions as Saudi women. Some argues that the grant of more freedom in cultural and entertainment fields has been necessary in order to gain support from the population after the recent economic difficulties due to the collapse of oil price, which is the primary economic source of this country. Furthermore, the latest reforms have reduced total government spendings by 25%, cutting lots of public subsidies provided to citizens. For what concerns the oil crisis, it began in 2014, when the global oil supply exceeded its demand. It got worse in 2015, when figured showed that 2,5 billion surplus of oil drums were wasted everyday. For these reasons, the Saudi government decided first to partially sell the Saudi Aramco, which is the biggest petroleum exploitation firm, and second, to quote it on the market. All these decisions are the consequences of a price level that has drained the state purse, as it has happened also in other countries whose economy is based on oil exports. Nevertheless, if selling a percentage of this firm's actions seems to suggest the beginning of an international openness of a sector that has always been considered as the guardian of the state's secrets, on the other hand quoting it on the market seems not to be so easy. This problem is mainly linked to the fact that the Saudi government does not want to reveal the amount of oil reserves it has, impeding the real estimation of the firmâ€™s value. In addition, the secrecy with which the company is run is far away from the necessary transparency standards a firm should have to be publicly quoted. Additionally, disengaging the economy from oil production would lead to the necessity of creating millions of new jobs for those citizens who have always been living thanks to rich oil revenues. The solution thought so far has got a name: Neom. The latter indicates the creation of a futuristic city that Mohammad bin Salman wants to build on the Red Sea shores, between Egyptian and Jordan borders, with an investment of five thousand million dollars. As its advertisements suggest, the aim is to show that Saudi Arabia is a leading country, both in the economic and social sectors, with women dressed in the Western way and living surrounded by any kinds of comfort. Neom should be a special economic zone, extended on 26.500 kmq, put under the Saudi sovereignty but with its own administrative autonomy. The ambition is to create a global hub of excellence in different industrial sectors, from energy to biotechnologies, independent from oil and at zero emission. An Arab Hong Kong but without pollution, based onÂ the Dubai social openness model, where men and women can sunbath together at the beach. What do we do about Islam? In order to reach these goals, it is necessary to loosen the relationship between the royal family and the Wahhabist religion, whose roots lay in the historic alliance among the Saud royal family and Ibn Adbul Wahhab. The latter was considered a XVIII-century theologian and founder of the Wahhabist movement, a very ultraconservative doctrine belonging to Sunni Islam. This relationship has always been fundamental to the royal family in order to gain political legitimacy. In return of their support, the Wahhabists gain the control of some key sectors of the country, such as education, the judiciary system and women segregation. Loosening this relationship might lead to a general weakening of the royal family. Hence, the attempt of the future king to move towards a form of moderate Islam is without precedent, based on the willingness to bring the regime to the situation before 1979, when the so called Islamic resurgence started to spread. Something in this direction has already started: last April the government reduced the extreme power given to the Saudi religious police, the Mutawa. Moreover, Mohammad bin Salman declared that one of the political aims is to increase the percentage of working women and give them the rights they have never had. Hence, a signal of cultural and social openness, especially towards less discriminatory policies, which was a prerequisite for Saudi Arabia in order to reach the ambitious economic objectives. These objectives have been further reinforced by the recent arrests of eleven princes, four ministries and several ex-ministries, conducted by an anti-corruption commission created ad hoc just few hours before the operation, which further clarifies Ibn Salman's willingness to get rid of all those who might obstacle his path towards renovation. The only thing now is to see whether these ambitions will become concrete or if they hide bigger interests that have nothing to do with the willingness of not having to deal with extremist ideas and corruption, but that rather aim at just gaining the hegemony over the Sunni pole in the Arab world.